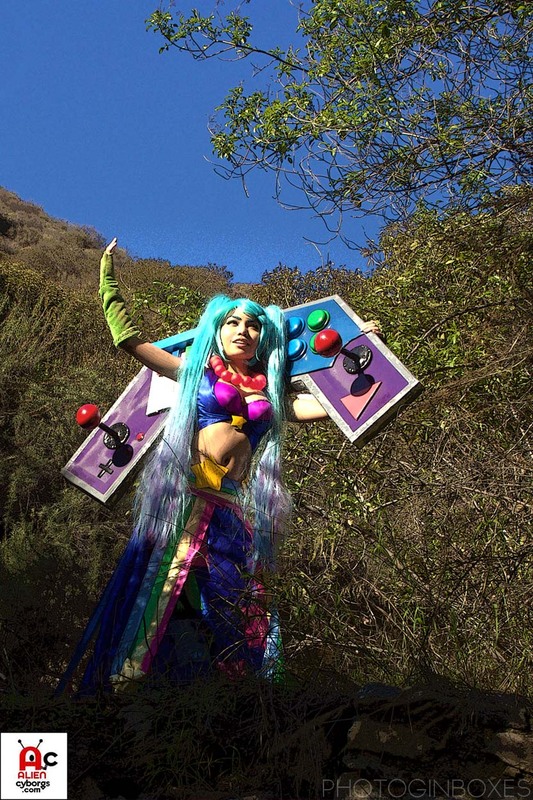 Alien Cyborgs and “Photog In Boxes” meet up with Mizzi Mie to do an outdoor photo shoot in the hills behind Brand Park where she perches herself precariously about 25 ft above a ravine just to “get the shot”. 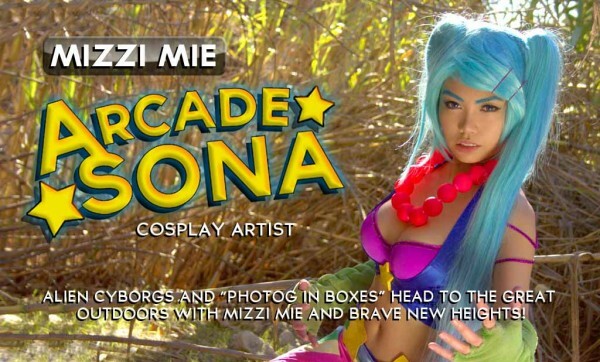 Meet Faye Gutierrez aka “Mizzi Mie” showcasing her “Arcade Sona” costume. Brave, smart, artistic and attractive…whats not to love! Check out the GALLERY and VIDEO below! 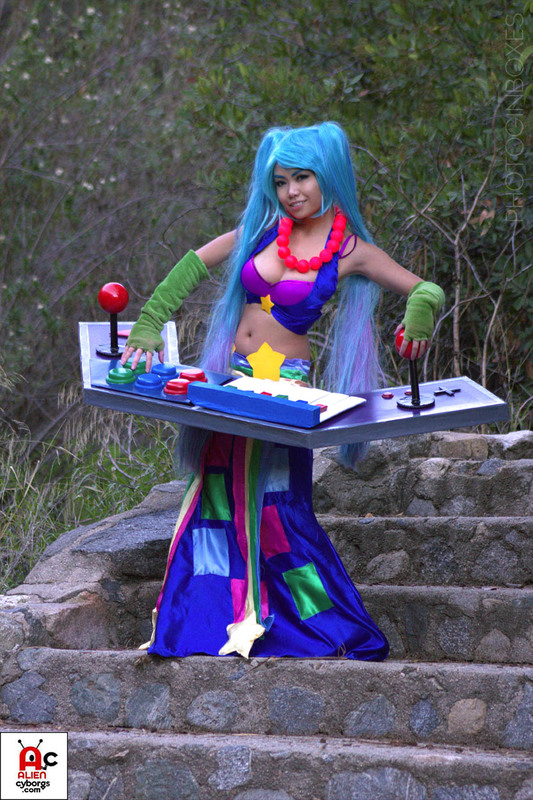 Arcade Sona from League of Legends. 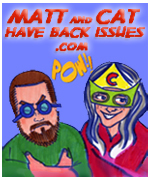 Alien Cyborgs : Hey Faye, why don’t you tell our readers who you are and where you’re from? Mizzi Mie : Hi, I’m Faye Gutierrez also known as Mizzi Mie and I’m originally from the Philippines and I’m currently living in Burbank Ca. AC: SO…how long have you been doing Cosplay? MM: I’ve actually been doing this…as of TODAY, a year! 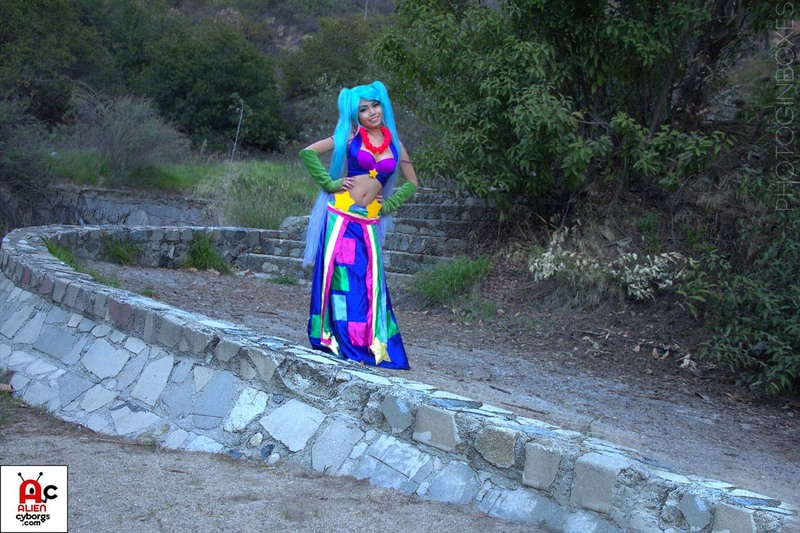 I started doing Cosplay in 2012 at the Anime Expo 2012. I went as Yoko (Littner) from Gurren Lagann and Tenma (Tsukamoto) from the manga School Rumble. AC: Awesome, which one is your favorite convention so far? 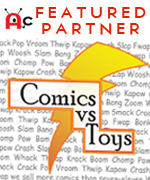 MM: So far, Anime Expo or Pacific Media Expo…I love those, they’re super fun! AC: How many costumes have you made and what’s your favorite so far? 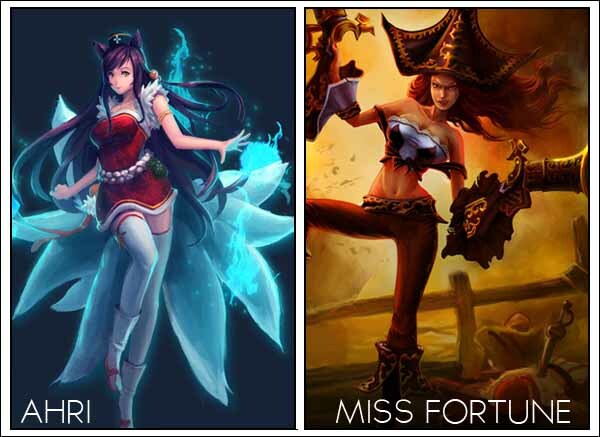 MM: I’ve made 3 costumes…Yoko from Gurren Lagann, Elaine from Queens Blade and Arcade Sona from League of Legends. Well, Tenma I bought that costume…so that doesn’t count. AC: Which is your favorite? 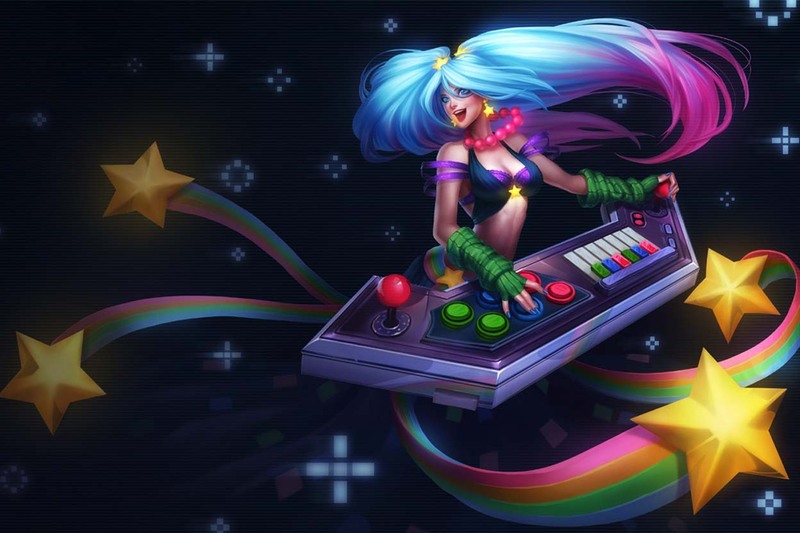 MM: My favorite has to be Arcade Sona just ‘cus I dunno I think I connected to her the most, ‘cus I play League of Legends and she was my first champion. So…she’s my favorite. AC: So you play video games? MM: I DO play a lot of video games. I play a lot of console games…Xbox games and Play Station Games, stuff like that. 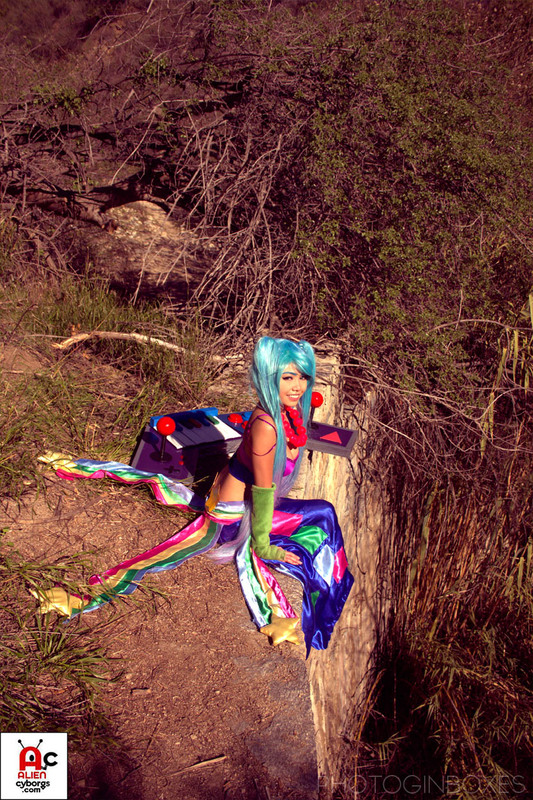 I never really was a computer MMO type of girl and then my friends introduced me to League of Legend, I was “Oh, I like this!” …and now I’m more on the Computer than I am on the Play Station. AC: What are your three favorite games? MM: My three favorite games have to be, NOT in order, are: League of Legends, Tekken and I wanna say Mass Effect just off the top of my head…yeah! AC: Name the last 3 Anime that you’ve seen. MM: Fairy Tail, which is also one of my favorite. 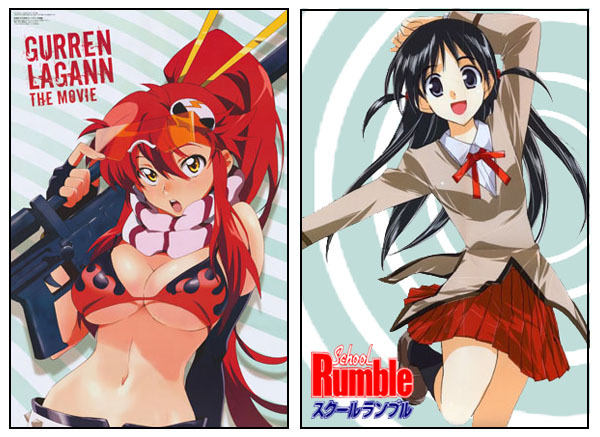 um…Gurren Lagann and what else is a really good anime either Soul Eater or One Piece they are a tie. AC: What is the next project that you have lined up? MM: My next project that I have lined up is another League of Legends character…I’m planning on doing Ahri from League of Legends or Miss Fortune cuz IPL 6 (the IGN Pro League Will Take Place March 28-March 31 at The Cosmopolitan of Las Vegas) is coming and thats in Vegas, it’s a big League of Legends Convention, so I would like to finish either Ahri or Miss Fortune by that time. AC: What do you do in your free time? AC: What do you do for work because it sounds kinda interesting. MM: During the day I do 3D for video games. I also do visual effects for film. AC: Any titles that you can talk about? MM: I’ve worked on this movie called 9 Full Moons. I did the poster and some post production for them. I’ve worked on apps and I’ve modeled assets for a video game pitch that didn’t end up getting made. 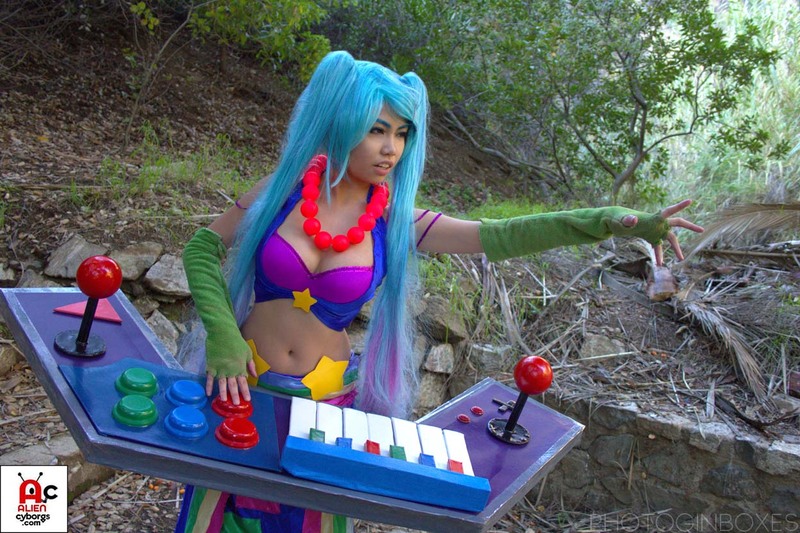 Well, we wish Mizzi Mie the best of luck on her Video Game ventures…but take it from us, she really doesn’t need it. I’ve seen her work and she has real talent. 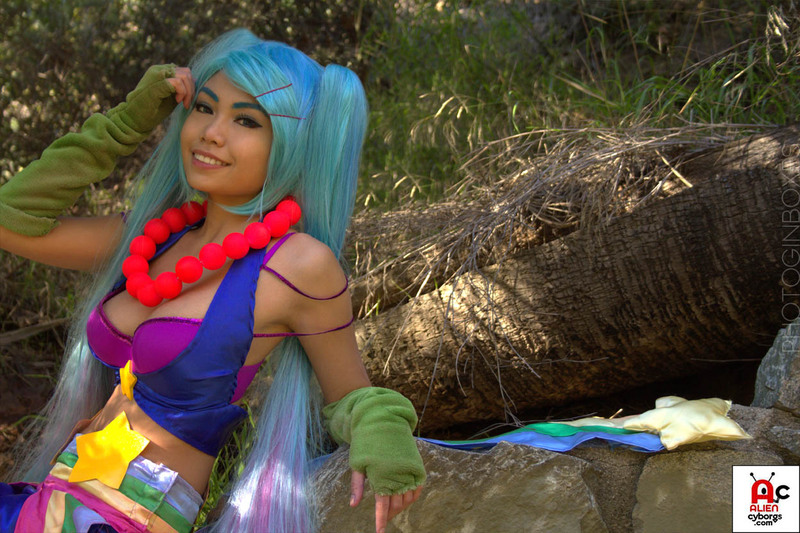 We hope to have her back for her future Cosplay Treasures!